Have you ever woken up with a stiff neck, unable to turn it to one side or another? This condition, sometimes called dystonia, is painful and can result in the permanent shortening of the muscles that are involved. Fortunately, physical therapy can not only relieve the associated head and neck pain, but it can also improve your range of motion and eliminate dystonia for good. Contact Sports & Orthopaedic Therapy Services in Silver Spring, MD today to find out more or to schedule your consultation. The word dystonia literally means “twisted neck”. A muscle or nervous system injury can suddenly make it difficult to straighten your neck or position your head properly. This type of injury may be associated with car accidents, extended illnesses or other trauma. For many adults, dystonia will resolve itself on its own within a few days. One of the first treatments doctors recommend are stretching exercises designed to lengthen and strengthen the neck muscles holding the head in the incorrect position. If these non-invasive treatments do not work, doctors will recommend surgery to lengthen short muscles and return the child’s head to a normal position. Once completed, you may need physical therapy to strengthen your neck muscles and prevent the problem from recurring. 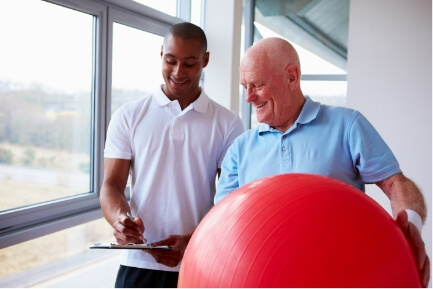 Physical therapy services go beyond post-surgical care. While they are vital to someone who has been through a surgical procedure, they are also designed to increase range of motion, decrease muscle tightness and strengthen gross and fine motor skills that are needed for proper neck and head positioning. A physical therapist will first conduct an assessment to test your range of motion and evaluate any other conditions that often accompany dystonia. These may include plagiocephaly (abnormal head shape), spine problems, or a misalignment of the hip joint (hip displaysia). Once the evaluation is complete, the physical therapist will discuss their findings and a potential treatment plan. Physical therapy may include performing stretching exercises both in the office and at home to increase your range of motion and strengthen your neck muscles. These may include passive stretches which you perform and hold as well as active stretches of the neck and shoulder muscles designed to strengthen muscles that are used to maintain good posture. In fact, early intervention for dystonia often provides the best results. If you are experiencing painful, incorrect positioning of the head or neck, contact Sports & Orthopaedic Therapy Services in Silver Spring, MD today to schedule an evaluation. Our physical therapy staff can evaluate you and provide you with a customized treatment plan designed to treat your dystonia, leaving you pain-free and moving well.